Did you know that the first evidence of settlement in Bremen was in 787 when Willerad was made bishop and a law was passed by Charlemagne that all residents had to worship a Christian God, not Odin? A large plaque marks Willerad’s term as bishop in St Petrus’ Dom from 787-789. Bremen was established between 8th and 13th century and became one of the Hanseatic League towns, renowned as commercial and defensive groups of merchant guilds and market towns that dominated trade in Northern Europe. The Rathaus or Town Hall was built between 1405 and 1410 and together with Roland – Germany’s Statue of Liberty and the Market Square is listed by UNESCO as a World Heritage site. The distance between Roland’s pointed knees is an ‘Elle’, a Middle Age unit of measurement. Imagine the stone Roland measuring out the wall for the Rathaus behind him on his knees! Roland is renowned in poetry, as a Chivalrous Gentleman and is representative of freedom and liberty. The person in the blue coat represents a modern Roland, who is about 6 Elle’s tall. The Stadtwaage, where goods were weighed, was destroyed in World War 2 but has been restored by the Gunter Grass Charity. Merchants then had to proceed to the Shutting or guildhall to pay their taxes to the city. The Ratskeller underneath the Rathaus is a vast underground restaurant with huge wine casks and even a Bacchuskeller, set up for modern bacchanalia. We enjoyed a lunch of smoked trout, grabben or prawns and smoked salmon. Outside we were met by the Bremer Stadtmusikanten, the 4 musicians of Bremen – based on a Grimm Brothers’ fairytale, these 4 animals, a cat, a dog, a donkey and a rooster having outlived their usefulness on a farm, set out alone and find a lovely cottage in which to rest. During the night some robbers come and the animals standing on each other’s backs, make such a din, they frighten the robbers away. In the tale, apparently they never reached Bremen but they are certainly part of Bremen folklore. 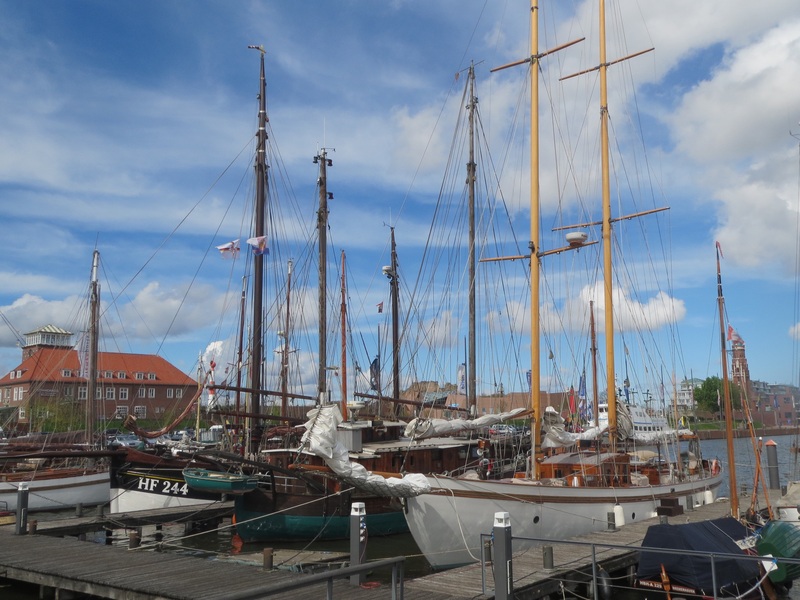 Bremerhaven is a relatively recent settlement, which became essential as the river Weser silted up and Bremen could no longer be used as a port. 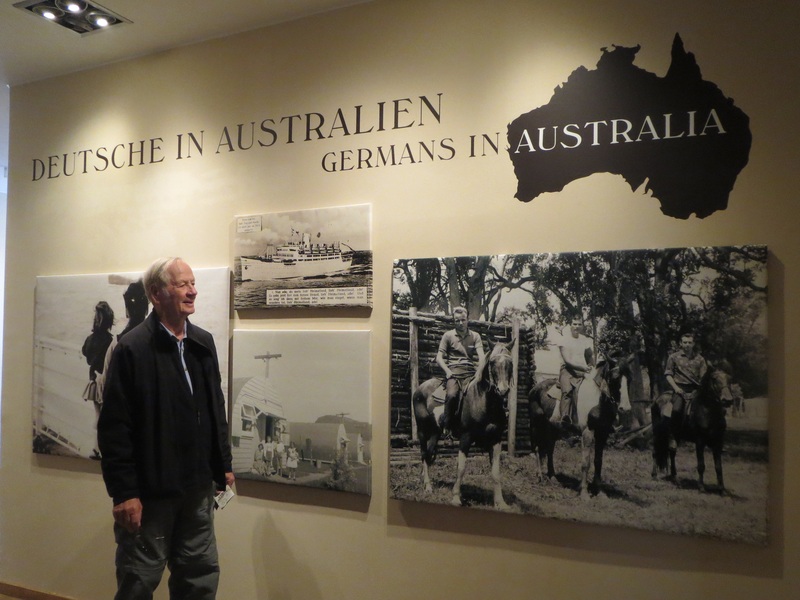 Our main purpose to visit Bremerhaven was to experience the Deutsches Auswanderin Haus – the German Emigration museum. This wonderful interactive museum takes you on a journey as a real emigrant, experiencing a life sized wharf and ship, set up for about the mid 1800’s. The ship even rolls and makes appropriate splashing sounds as you look out the porthole from your cramped bunk in the cabin with 5 other people, we listened to audios as excerpts from letters written on voyages mainly across the Atlantic were told in detail. 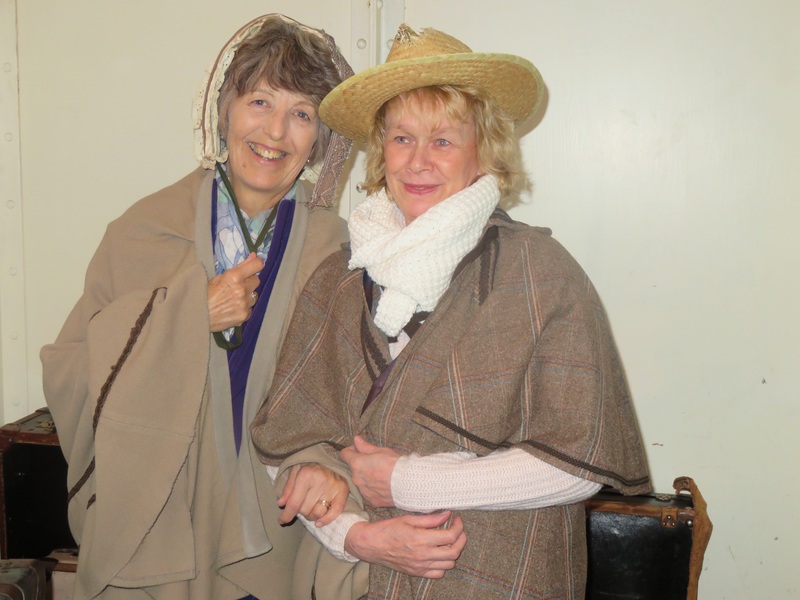 We even donned the appropriate clothing to make this journey and looked into the pantry to see feathered geese and other poultry, strung up for the first class passengers to dine on en route to New York. Finally, we visited the fish market wharf, which is lined with cafes and restaurants for dinner. The speciality of this area is matjes fillets or marinated sardines. 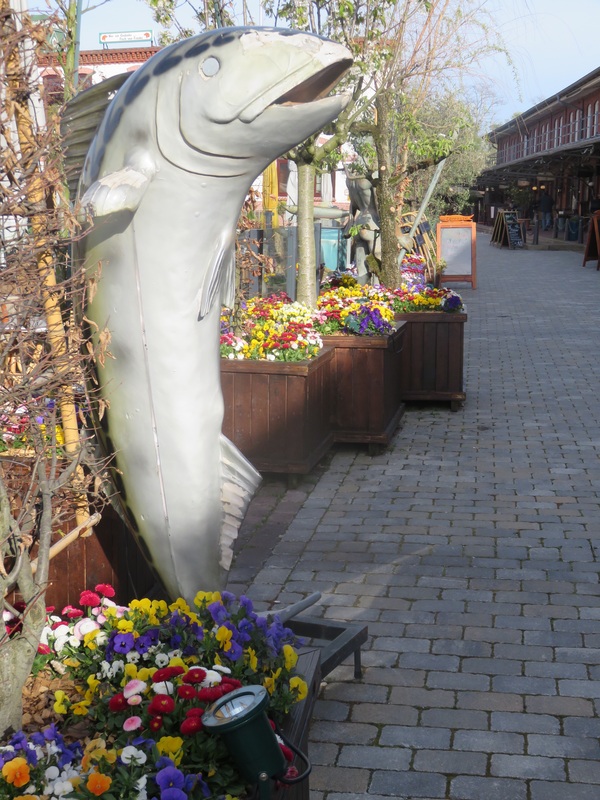 Trying to understand the different fish varieties made this meal a great occasion – rotbarsch, graved lachs, and rauche fisch were all new and all tasted ‘sehr gut’.